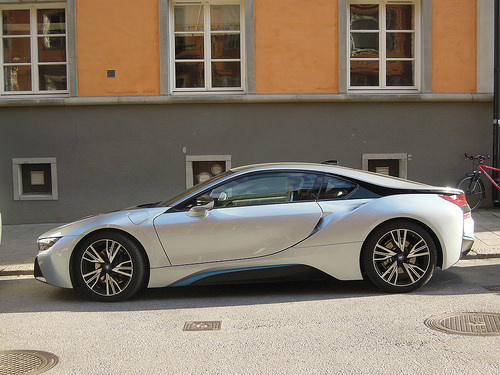 Originally released in 2009 as a turbo diesel concept car, the two door i8 coupe was launched in 2014 as a plug-in hybrid sports car, both developed and manufactured by BMW. 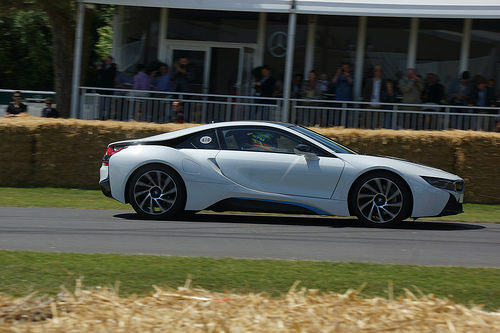 It was powered by (1) a 1.5 litre, twin turbo, inline three cylinder petrol engine, positioned at the rear to drive the rear wheels, and which developed 228 bhp at 5800 rpm and 236 ft/lbs of torque at 3700 rpm, plus (2) an electric motor positioned over the front axle which drove the front wheels, and which developed 129 bhp and 184 ft/lbs of torque. As a result, this 4WD hybrid possessed the ideal 50/50 weight distribution. 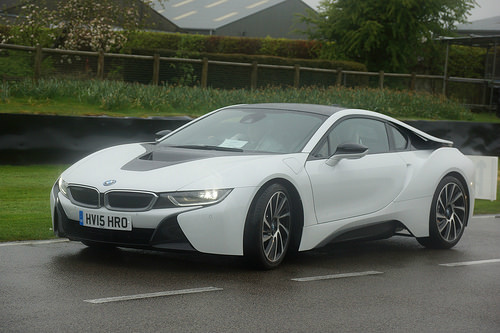 The petrol engine was fitted with a six speed automatic gearbox, whilst the electric motor was linked to a two speed automatic gearbox. 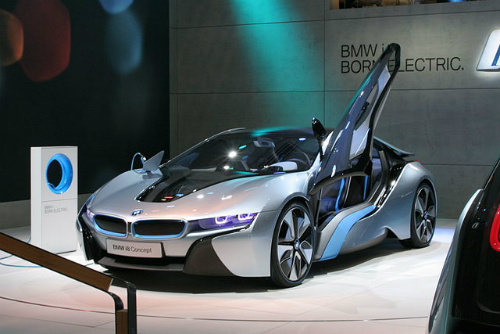 With a combined output of 357 bhp and 420 ft/lbs, it produced a controlled top speed of 160 mph, with 0-60 mph in 4.2 secs. 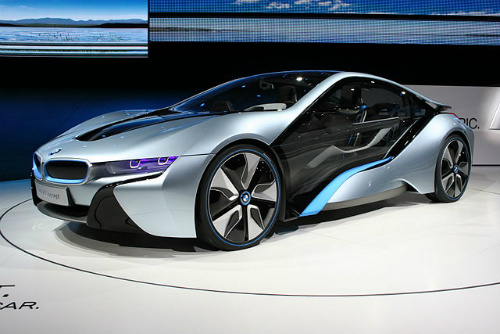 It had a normal range of 310 miles, which was increased to 370 miles in economy mode. Using a plastic body reinforced with carbon fibre, it had a curb weight of 1490 kg, and a coefficient of drag of just 0.26. 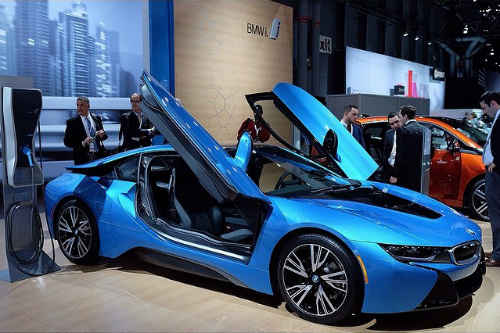 The BMW i8 sports car was priced at $191,500.